Before I started this detox, I knew that I'd have to get rid of some of my favorite beauty products. I just didn't know I would have to get rid of so many! It seemed like everything would be all natural until you hit the last thing in the ingredient list and there you would see that God awful word: fragrance/parfum. UGH! I was so hurt that so many of these great brands just had to use a synthetic fragrance in their products. "Lawd, why!" Those were the two words I kept screaming to the heavens as I read each label in my cabinet full of products. It was disheartening. Fast forward to the present day and I'm A-OK! I only use three products on a regular basis for my skin and body and it feels great. Not only is a cost efficient because I'm using less products, but it now doesn't take so much time to get ready because I'm not applying a gazillion products onto my face and body daily. If you've been following my channel for awhile, you know I've had my bout with adult acne. It seemed like it came out of nowhere last year and during last summer it reached its peak. I tried just about everything to get rid of it except going the all natural method route. This was the first soap I used as a facial cleanser. I've since used two other scents. In February I started using Shea Moisture's all natural soap on my face since I ran out of my Clarasonic's acne cleanser and needed something to hold me over until I could hit up Sephora to drop another $50 on the product. But in less than two weeks I realized my skin was starting to clear up with just the Shea Moisture soap alone. I was freaking out. A bar of soap that costs less than $6 was doing wonders to my skin that a bottle that costs 10 times that wasn't doing in three months! That's when I decided to stay on the all natural soap train. I've stuck with Shea Moisture soaps since then, but decided to try my hand at Dr. Bronner's Magic Soap. It's great and I love the tingly feeling it gives my skin. This soap claims you can use it seven ways. I stick to using it as a facial cleanser, a shower gel (as it lathers really well) and using it as a shaving cream. This stuff is bomb! My skin was so horrible last year! Thank God is has cleared up dramatically since then! I use the V Bar to clean my lady parts (the green bar of soap in above picture). This is made by the woman who's session on the Curly Cruise influenced this whole ordeal. Her soap is all natural and fragrance free. Read more about it here. I use the Shea Moisture's Body Scrub about once a week to exfoliate my skin. It's amazing! I've been using this stuff since last year and it always made its way into one of my favorites videos. It's also all natural and fragrance free. It's affordable and can be found at most Target stores on the organic beauty aisle. I've been a die hard Bath and Body works fan since forever so it was going to be a struggle to stop using my favorite scented lotions and body butters from their store...or so I thought. 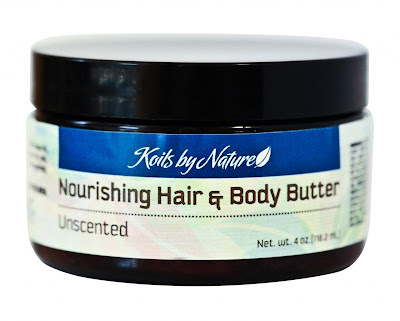 I knew I had racked up a number of all natural butters from various companies, however like I mentioned above, most of them had fragrances in them. 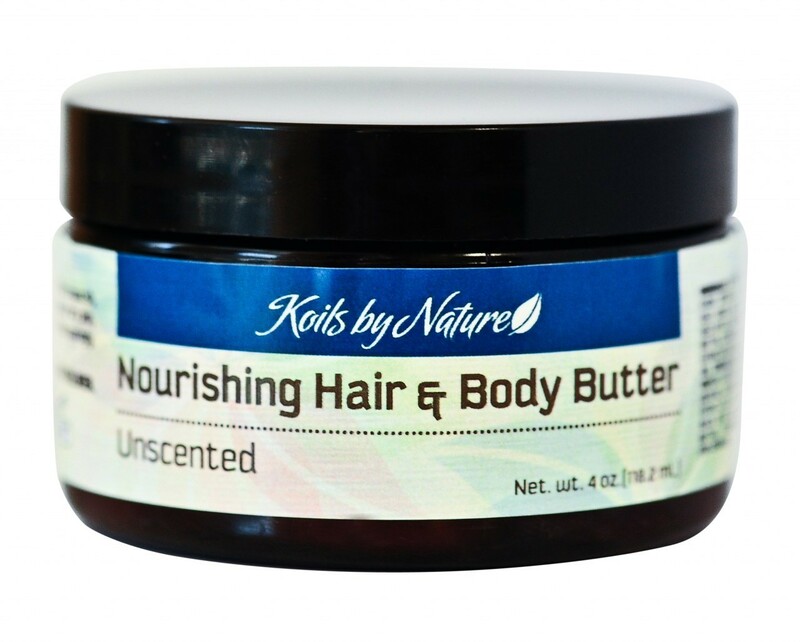 I finally found one that didn't and that was the Koils by Nature Nourishing Hair and Body Butter. This butter is so rich and moisturizing it makes no since. It also doesn't have the grit that some Shea butter mixes give you. My skin is always glowing and buttery. I always looked sun kissed when wearing this on my skin. My skin was looking radiant at the Naturally FLYY Detroit Meet-Up. Look at them legs. Owww! The most exciting thing about this detox is I don't have to stop doing what I love: reviewing products! I now can bring you reviews from brands that are conscious of what they're putting into their products and putting into YOUR bodies! That in itself makes me feel fabulous! Have you tried any products that I've talked about above? Of so, let me know in the comment section below! No actually I havent used any of the products mentioned above. Can wait to hear your reviews. Looks like you ladies had a fabulous time. Take care. I would definitely like to try the BeeMine products. I have seen a lot of youtube videos but I have not purchased anything yet. 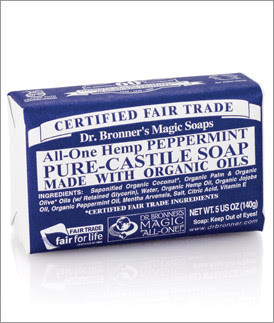 I have tried Dr Bronner Castile Soaps. They are amazing. I have used them on my face, body, and hair (definitely dilute for use as a shampoo). The soaps is good every where including other surfaces as a cleanser. I definitely want to join your 30 day detox. I totally respect what you're doing...how do you feel so far? Hi CharyJay, I've used the Honey Suckle Rose conditioner as a cowash the first year of my natural journey. It was moisturizing; however because my hair is thick and long, I used half the bottle in one cowash session. In summary, it was too expensive to purchase from the local Wholefoods market in my town. I have used the Aubrey's conditioner. I recently came across Shea Moisture products at a beauty supply store in the small town I live bar. thanks for the reviews I think I'm going to buy a bar. I have been using shea moisture (hair and body) on myself, my husband and my children and we love them. I have been wanting to try the Dr. Bronner's soap, but didn't see much point in changing it up since I love Shea moisture. I will definitely be giving it a try. Thanks for the post. I haven't tried any of these products but please believe that I will be soon! I have been trying to find the right type of bar for my face for the longest and this excites me :). Thanks for sharing this with us. I havent tried either listed..but being a product junkie is a no-no however shea moisture is next on my list. Thanks for this. I've used Dr. Bronner's for years. If you find that any of the soaps are too drying, try using the milder unscented version. I used it as my children's first soap and shampoo. It's also a pretty good stain remover! The liquid is easy to get on the ground, at any Kroger "Nature's Market" section. For real economy, try the product website for 1-gallon jugs. I use Beemine's deep conditioner and Luscious moisturizer myself, and the curly butter for my girls. Love those products, they work really well for us.